Ah yes, that first time away from home at school. So much free time, so many things to discover, and so much freedom! All these really cool "activities" cost money, so you start spending it; and this is money you don't even have. But, wait! I can put these expenses on my new credit card; they were handing them out like candy, along with a free t-shirt next to the Student Union. Although the Credit Card Act of 2009 (the Act) prohibits issuers from issuing a credit card to someone under the age of 21, as long as they can prove they have the income to support it, or have a parent co-sign the card, they can get one. So, there are ways to circumvent the system, and being crafty and resourceful helps in landing that plastic piece of paradise. Many issuers still endow colleges so they can come on campus and solicit customers. The Act also states that the issuer has to be completely transparent when it comes to college affinity cards; they have to let the customer know how much of a purchase is going back to the university. In order to be ready, you need to be responsible. Have you never written a hot check? Do you reconcile your bank statement monthly? Do you keep a check register? It's just that: introductory. The "great" rate will morph rather quickly into a much higher rate. APR does NOT include compounding; APY does. If the APR is 13%, what you'll pay, the APY will be about 13.80%; if the APR is 15%, the APY is 16.08%. Do not pay an annual fee. If you don't pay off your balance every month, then you'll be charged interest. With a fee, you'll be charged interest on the fee as well. 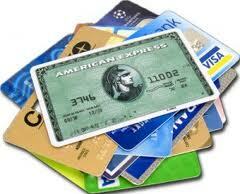 If you need credit, get a secure card. You pay the credit card company in advance, not unlike having a debit card. When you've charged the amount equal to your deposit, you get cut off. It's a great way to keep from going deep in debt. What are some other traps you can think of that every student needs to know about credit and debt?